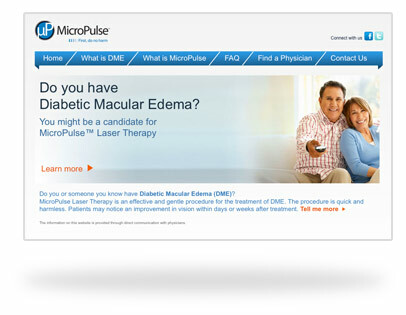 TreatMyDME.com is an educational website dedicated to patients with diabetic macular edema (DME). It explains DME, describes MicroPulse™ Laser Therapy, and addresses patients’ expectations before, during, and after treatment. TreatMyGlaucoma.com is an educational website dedicated to patients with glaucoma. It explains glaucoma, describes MicroPulse™ Laser Trabeculoplasty, and addresses patients’ expectations before, during, and after treatment.